ADFEST is pleased to announce that Ali Brown, Partner and Executive Producer at PRETTYBIRD in Los Angeles, will join ADFEST 2019 as Jury President of Film Craft Lotus and New Director Lotus. With offices in Los Angeles and London and a diverse roster of filmmakers, creatives and collaborators, PRETTYBIRD produces entertainment that is creatively led and platform agnostic. The company’s work has been recognized at award shows worldwide, and PRETTYBIRD was named Creativity magazine’s Top Production Company of the Year in 2015. 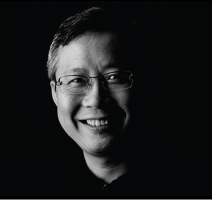 Jimmy Lam, President of ADFEST says: “I have seen Ali in action on a jury before, so I know she will bring a very fresh perspective to our festival. She is an expert in leading judges from around the world, who bring very different likes and dislikes when it comes to filmmaking. She is an open and candid leader and her experience will ensure only the very best production work from the APAC and MENA regions are awarded at ADFEST 2019,” explains Jimmy Lam, President of ADFEST. Brown began her career in the commercial and music video industry before moving over to feature films. After returning to advertising, she helped build the PRETTYBIRD roster and reputation, expanding its reach across commercials, short films, features, web series, and music videos. She has produced several films under the PRETTYBIRD banner, including the Daniels’ award-winning Sundance New Frontier film Possibilia; Showtime’s The Drew: No Excuse Just Produce directed by Baron Davis, and feature film The Trust, written and directed by PRETTYBIRD duo Brewer. Brown is an influential member of the global film community, serving two terms as AICP/West (Association of Independent Commercial Producers) President. She has been a mentor for Project Involve, AdCan, and Women in Film and is heavily involved with Manifest Works, an immersive workforce development and job placement program for those impacted by foster care, homelessness, and incarceration. Most recently, Brown was President of the Young Director’s Award Jury in Cannes 2018 – the first female president in the show’s 21-year history. ADFEST is a non-profit-making entity that believes passionately in its role to nurture and support the creative industry in the Asia Pacific, Middle East and North Africa regions. “Every year, we work hard to recruit visionary creative leaders from around the globe to lead our jury panels and share their expertise with our region,” explains Vinit Suraphongchai, Chairman of ADFEST. ADFEST 2019 will be held at PEACH, Royal Cliff Hotels Group, Pattaya, Thailand from Wednesday 20th March to Saturday 23rd March 2019. For more information, visit www.ADFEST.com.